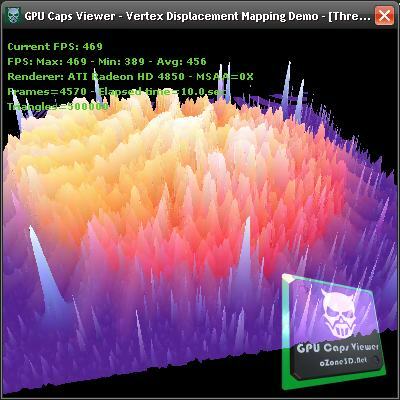 Vertex Displacement Mapping in GLSL Now Available on Radeon! But so far, vertex texture fetching in GLSL didn’t work due to a bug in the driver. But now this is an old story, since VTF works well. 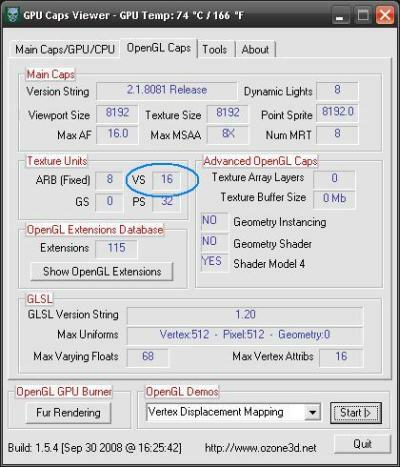 For more details about vertex displacement mapping, you can read this rather old (2 years!) tutorial: Vertex Displacement Mapping using GLSL. This very cool news makes me want to create a new benchmark based on VTF! This entry was posted in OpenGL, Tools de JeGX and tagged 3D, bug, catalyst 8.10, displacement mapping, glsl, OpenGL, Programming, vertex texture fetch. Bookmark the permalink.